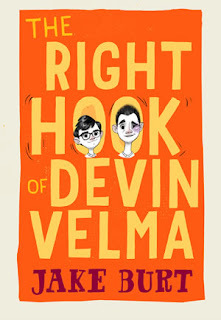 Jake Burt is the author of The Right Hook of Devin Velma, a new middle grade novel for kids. 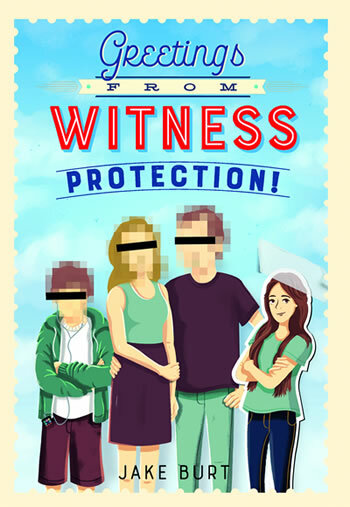 He also has written Greetings from Witness Protection. He teaches fifth grade in Connecticut. Q: How did you come up with the idea for The Right Hook of Devin Velma? A: The notion sprang from my own trepidation toward social media. When my first novel came out, I joined Twitter, established a webpage, etc. I was nervous about it, and I think that discomfort led me to explore ideas of fame, publicity, and family in a new way - hence Addison Gerhardt, the (VERY) reluctant emissary and Devin Velma, the eager experimenter. They're two sides of the same coin, launched into a situation they couldn't possibly have prepared for. It was a ton of fun thinking about how they'd react to it. I hope that comes across in the novel! Q: What do you hope kids take away from the book? A: The message I'm hoping kids take away is that it's completely okay to simply exist as a child. The world will tell you to grow up, and it will present you with so many situations that seem to call for a clarity, poise, and voice you don't have yet. There's nothing wrong with stepping back and admitting you're not ready for something yet - even though we all know you're strong enough to manage. Q: The novel takes place in Los Angeles. How important is setting to you in your writing? A: Setting is vital! It's one of the Big Three (along with character and problem) that make up a story. LA was a great backdrop for this story - not only for the stardom angle, but for its unique conflux of basketball and Hollywood culture. Q: Was your writing process similar with this second book? A: The process was a bit different, mostly because this wasn't my debut. 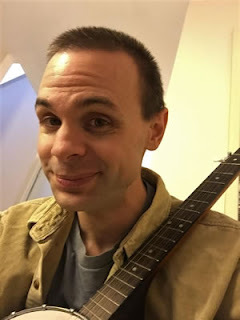 I was more savvy about the kinds of questions I could ask my agent, I got better at communicating with my editor, and I had a far-reaching support network of other authors to lean on for advice. I'd say my writing has improved, too...at least, I hope it has! A: I'm about to go on tour to promote The Right Hook of Devin Velma, we just finished copyedits on my third book (out in the fall of 2019), and I finished writing the manuscript for a fourth novel this past summer. Here's hoping my editor likes it! A: You should probably know that the holidays are right around the corner, and if you're like me, then you absolutely dread wrapping presents. No amount of satin tape, orange-gripped scissors, or YouTube videos about perfect technique will help you. The solution? Give more books as presents. They're super-easy to wrap, and as a result allow you to avoid the existential horror of watching someone extract their gift from the tape-and-staples monster you put in their lap. Gift cards to indie bookstores work too. --Interview with Deborah Kalb. Here's a previous Q&A with Jake Burt.